Canara Bank Recruitment for 800 Probationary Officer Posts: Canara Bank has released its notification for recruitment of 800 Probationary Officer in Junior Management Grade Scale-I on Successful Completion of Specially Designed PGDBF Course. If you want to make a career with the Canara Bank Recruitment, then this is your chance. Apply for this Canara Bank Recruitment and make the most of this opportunity. The last date to apply for this Canara Bank Vacancy is 13-11-2018. Read the article to know in detail about the salary, pay scale, total vacancies, important dates and Here are some of the important details of the Canara Bank Recruitment Notification 2018. Post Name: Probationary Officer (PO). Salary: Rs. 23,700-42,020 per month. Eligibility: Degree (Graduation) with 60% marks (55% for SC/ST/PWBD) or equivalent grade, in any discipline or any equivalent qualification. Application fee for Canara Bank Recruitment: Candidates have to pay Rs.708 (Rs.118 for SC/ST/PWBD) through online by using Debit Card, Credit Card and Internet Banking. 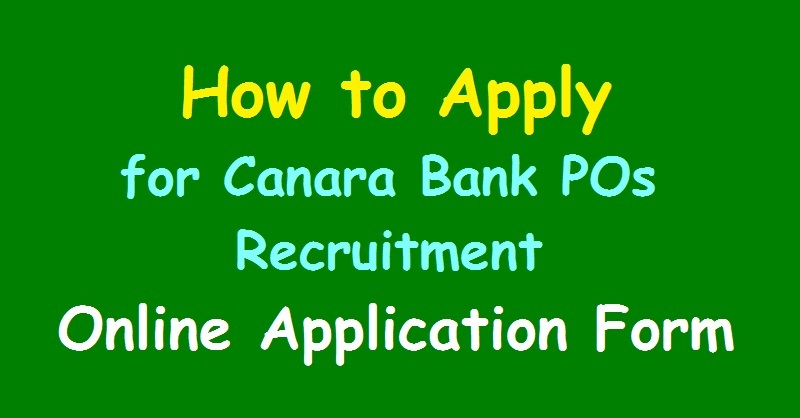 Selection Process for Canara Bank Recruitment: Selection will be based on Online Test, Group Discussion and Interview. Note: If you have any query regarding selection process then you must see the notification and read carefully. Aspirants looking for a job have a great chance. The applications in Canara Bank have been invited for graduates. The notifications for 800 post of probationary officers have been invited on the official website. Aspirant To apply for these posts, the applicant must possess a bachelor's degree or its equivalent degree. In addition, the age of the candidate for recruitment should be between 20-30 years as per 01-01-2018.